Just like your personal autos, your commercial autos need to be protected as well. Our Insurance Brokers of Arizona agents are here to assist with Commercial Auto Insurance, Truck Insurance or just to assess your commercial options. Take comfort in knowing that we’ve been a commercial auto agent for years and are dedicated to saving you time and money on your commercial insurance needs. We also are here to get you back on the road quickly so your business isn’t held up in the unfortunate event of a claim. We know filings can be confusing but they are critical to running your business. That’s why we’ve partnered with companies, like Progressive, who offer commercial truck insurance state and federal filings assistance. 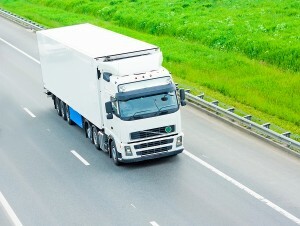 An insurance filing is a guarantee to the government that you have sufficient truck insurance protection for your vehicle. We also have many other companies who make the filing process easy. Talk to an agent today about insuring your commercial auto vehicle. I'm an agent in Missouri and met Cameron through a Facebook group. This guy will listen and respond to your needs. Super nice guy! Researching and shopping for insurance is never an easy task, but working with Amy at Insurance Brokers was stress free. She was able to find me the best rate, saved me money, and I have better coverage then with my former insurance carrier. She is able to do the leg work for you and offer you the best rate in the industry to meet your needs. Insurance Brokers of Arizona is the BEST! They found me my motorcycle insurance which was hundreds lower than what others found! Renee Hollaway is so wonderful. She's helped me out many times. Quick to reply to address any of my needs. Thanks for all that you do! I appreciate you guys. Amy did a great job getting me an umbrella policy for a reasonable price. I had attempted to get quotes from several other agencies but I guess because I own properties in several states it was too difficult for them. Amy was able to save me well over a thousand dollars and provide the coverage I needed. She was easy to work with and responsive to all my questions. I would recommend her. They found us a great rate for Car and Renter's Insurance. We told them what we needed and they were quick to find us a quote. I would highly recommend using them and we will refer them to anyone we know who is looking for a broker. Amy was great, my wife and I needed insurance as the last company we were with increased our rates by almost $700.00. She shopped around and did all the leg work and presented us with the best offer. I could not be more pleased with the customer service and responsiveness. I would highly recommend Insurance Brokers of Arizona. I was in search of a new insurance company and spoke to Amy Stover with Insurance Brokers Of America. She was an incredible help and found an amazing policy for me that lowered my rate significantly! I cannot thank her or this company enough for helping me out! Highly recommend them to anyone looking for Insurance help! Keep up the great work! My insurance broker, Michael Hall, was extremely helpful! He even communicated directly with my old insurance agent to handle everything while I was working. Majorly impressed! Michael Hall has been wonderful to work with, he was able to find us an insurance company that offers great rate with similar coverage. In the past I had to call several companies to get quotes which was time consuming and confusing. Working with Michael it was very easy and eliminates all the phone calls. Thank you. I was very impressed with the ease of obtaining a quote for a combined auto, home and umbrella coverage. My contact with Amy Stover was professional, concise and the policy was executed within a few days. Excellent service. Amy was nothing but helpful and gave the personal touch to make sure I got the best rate possible even after hours. I had a great experience with this company finding quick coverage. Michael was extremely helpful, in two short phone calls I had the coverage I needed and was insured same day. Thank you! Michael was awesome, literally saved me hundreds of dollars a month on car insurance. Very quick to respond and incredibly helpful. I wish I called him months ago! I feel like a fool for putting up with my old insurance company for so long. Amy Stover was outstanding and helped me find a solution. She helped me with a very difficult situation after Costco Ameriprise suddenly chose not to renew my homeowners after I spent the past 15 years loyal to them. I'm glad that I was referred to Amy and appreciated her attention to details. Can't complain about these guys so far. I have business liability and vehicle insurance through them and signup was a breeze. Nicole was readily available to answer any questions. No claims yet (knock on wood) but will update review if/when I make one. Michael is very knowledgeable and gave me quotes quickly. The rates were spectacular! I highly encourage anyone pricing insurance to give them a call. Insurance brokers of Arizona already handled our home insurance. When we were looking for auto insurance we called them up. Renee and Amy were beyond helpful. When you call in you get a person right away and not a robot. Best of all they saved us money! I would highly recommend them. Amy Stover did a great job getting our Mexican car insurance for our vacation to Rocky Point on short notice. She gathered all the info and had it back to me in less than 30 minutes. She is the best!! I would highly recommend her for your insurance needs!! Amy Stover was awesome! Really quick with the quotes and getting me the best deal out there. Would definitely recommend to friends and family. Amy was fantastic and saved us a bunch of money... I highly recommend her. Her customer service skills are second to none. She took the time to understand our specific needs and delivered great value... Thank you Amy! I worked with Amy and she was awesome. She got me a great rate for my car insurance. Much much better then the company I had. I am on a fixed income and every dollar saved means a lot to me. I worked directly with Amy Stover and she was more helpful than I could've ever expected! She blew me away with her timely responses and ability to save me almost $100 on auto/home insurance. I still cannot believe how simple this process was and how much peace of mind I was offered throughout. Amy was awesome! She helped me get a great rate on my car insurance. Very fast and easy! Highly recommend her. Superb service all round. We have been working with both Cameron and Amy, and they're terrific. Extremely responsive and have helped us tremendously in negotiating insurance for our first home purchase. High recommended. Amy Stover exceeded all my expectations in finding me new auto and home policies. She prepared both quotes the same day and found policies that carried more coverage and were less expensive than what I currently had. I highly recommend Amy! Amy helped us get the insurance we needed at a good price. We needed it in a hurry and she took care of everything very quickly. Very knowledgeable with great customer service. Would highly recommend! Amy did a superb job in handling our insurance needs. She was helpful, knowledgeable and responsive. Best experience we’ve had with getting insurance. Michael helped me find a better deal for my auto/renter's insurance. He was attentive and responded to all my questions in a matter of minutes. Very happy and saved a lot! Amy did an excellent job of taking care of our insurance needs on our vehicles and homes. Everything was done professionally and quickly. She also saved us a bunch of money. I can confidently recommend that she will do the same for you. Michael was a pleasure to work with. He was very knowledgeable and freely offered advice I needed. I truly felt like he was looking out for my best interest. The whole process was simple. I'm so glad I found Insurance Brokers that I've been referring a lot of friends and contacts to them. Nicole helped me out when I had no idea what I was doing when starting up my business and needed insurance. I really enjoyed working with this company. Nicole was great to work with and really kind! Nicole is amazing to work with! We purchase and resell homes monthly and she has made the process so easy and streamlined. She found us the best prices and has saved us money on all of our insurance needs. I would highly recommend Insurance Brokers of Arizona! Awesome company to do business with, Carl Crook did a great job explaining my policy options from the top down. I was beyond surprised with the results. Best in class service from Insurance Brokers of Arizona! Amy Stover was wonderful to work with. She is very knowledgeable and was very thorough in explaining all our insurance options. Thank you for a great customer service experience! I highly recommend Amy! Amy Stover has worked with me from Day One when I made the move to Arizona from Michigan and has helped me understand all the ins and outs with transferring insurances. She was so understanding with getting me my Home Owner's Insurance and, in getting my auto insurance today, she was able to save me over $300 a year from the next competitive rate. I will be staying with Acuity and, hopefully, Amy will be my agent for many years to come!! Terri has done an amazing job. She has found me the best price for my girlfriend and I. The ability to text them any questions makes everything so much easier and on the go. She’s also pretty cool! Been with them for almost a year and everything has been great. I would try this broker first. Michael was very helpful and extremely responsive when we changed insurance companies. All of our questions were answered both quickly and clearly, and best of all we saved a LOT of money. We now know we have the best rate and are very comfortable with our choice to use Insurance Brokers of Arizona. Kudo's guys...! I have had services from several insurance companies since last 20 years. Insurance Broker of Arizona just exceeds my expectation thousand fold. Their awesome client satisfaction is not just unique but they have consistency and its a constant A+++ rating! Just to state one of my experiences and service i received last weekend from Amy Stover. My friend was shopping for a car over the weekend and I knew my friend will get one, but Insurance Broker of Arizona remains closed over weekend and I didn't want to go to insurance companies that stay open 24x7. So I discussed this challenge with Amy. She made herself available pretty much 8 hrs in the evening on Friday and entire day and evening Saturday, until my friend got the car and Amy found the right insurance. Amy is wonderful - she put client satisfaction over her personal life. You need to try them! They will find you the best rates in the industry! Cheers! Amy was great to work with! She was courteous and helpful. Returned calls promptly and answered all my questions. Would definitely recommend! Begin a Home & Auto Quote Now!